In today’s age, everything is so incredibly competitive in the digital world. Marketing of products and services has become increasingly geared towards how digital channels are utilized effectively. You need to keep customers and reach potential clients. In order for small business enterprises to survive their competition, they need to improve their social media presence. More people are already looking at purchasing their needs and wants through the Internet. 68% of traffic is now mobile. Based on the Q4 2015 Nielsen Global Connected Commerce survey, 63% of consumers looked up product information online before making purchasing decisions. A study from online advertising network Chitika found that the top listings in Google’s organic search results get 33% of search traffic. In order to beat competitors, businesses should shell out resources to invest in search engine optimization (SEO) and keyword research to establish their position in the marketplace. Here’s how small businesses can build a strong online presence using digital marketing. One of the most vital resources that could help small business enterprises boost their online presence is through an expert looking website. This is the place where they can demonstrate their identity, their products or services offered, their location, and contact information. When new to website creation, it is recommended that business owners seek the aid of Google Analytics to determine who viewed their site. Without being able to track your results, you are shooting in the dark. For technology-savvy business owners, they can utilize content management system (CMS) in building their own website. A popular CMS system we recommend, that is simple and affordable, is WordPress. Once the website has been created, most CMS programs provide SEO ‘plugins’ that could help small business owners perform better in their Google rankings and get found. Be careful not to abuse the plugins since some don’t play nice together and too many can slow your website down, affecting your results. For small business owners who lack the technical know-how, they can tap the services of freelancers, consultants or marketing agencies experienced in website development and creation. This is an awesome alternative for those who already have a website but requires it to be updated and redone for SEO purposes. We always recommend clients to be very careful with Freelancers since it is difficult to prove any claims in the digital world. Always monitor and make sure you are informed when someone is responsible for helping you grow your company. This includes Agencies. This company was founded due to how often we experienced these issues as a consumer. Speaking of SEO expert freelancers and marketing consultants, they can be found on freelancer such as, or you can reach out to us at Gott Consultants and tell us what you need. Well, there is plenty of variables that determine the performance of a website in search engines like Google. According to Backlinko, determinants of Google rankings include relevant keywords, the length of the website content, quality of the content, the frequency of posting content, etc. In order to have a better Google ranking, SEO is the key. Wikipedia defines SEO as tactics that boost website ranking in organic search results, enabling the website to be seen across a variety of search engines (e.g. Google). The SEO technique basically includes three aspects: Researching your ideal client, keyword research, and on-page SEO research. Knowing who your target customer is through research can help you, as a business owner, better decide on what to showcase on your website. Keyword research is more of an extension of Ideal Client Research and is probably the most important part of SEO because it is a determinant of page ranking. On-page SEO has a great influence in search engine ranking. The importance of content and blogging in SEO and Google ranking is already discussed above. It is suggestive that the more frequent your most coveted keywords come out in your content or blog, the greater the chance of it appearing in search results. When starting a blog, there are cheap and free website tools that can be utilized in creating a free site and you can just apply templates. Publishing a blog at least once a week can help enhance the business’ online presence and convince potential clients why they should put their trust in you. If you are new to writing blogs, there are articles online that offer how-to guides for beginners or check out Our Work. If you have the resources to employ an expert in blogging, you can try searching for one through Freelancer or Contact Us. Don’t forget to always consider SEO when creating a blog. You may add a call-to-action button on your posts to enable your guests to subscribe to your content and get emails keeping them updated on your business. A Facebook study found that 77% of consumers are loyal to brands. This is why as business owners, you need to secure a consistent brand identity to market your company so you can entice potential customers. Millennials are even more complicated when it comes to loyalty. Your brand’s reputation is considered to be a mixture of your business logo, brand name, aesthetic and design of your assets. It is essential that as a business owner, you thoroughly plan how to design your logo and consider even the smallest details in developing your brand. The better you know your brand, the stronger you can communicate who you are. Other digital marketing tools that can help owners of small business promote their online visibility include the use of email, conversion tools, and social media accounts. All of these are essential in promoting to your ideal client and each requires a specific strategy to work best. You won’t find long drawn out written content like this on Instagram for example, but can be used to bring clientele to your content. We recommend HootSuite for helping you post to your social media accounts. For email Sumo for your mailing list aggregation and MailChimp for your email marketing platform. Armed with all of the aforementioned techniques, small business owners can fight their way and thrive in this increasingly competitive digital world. 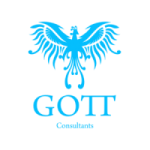 Gott Consultants, a Full-service Digital Agency, can provide you with everything in-house, from your Social Media needs to content creation, video, and more. Contact Us TODAY for powerful Guaranteed results.